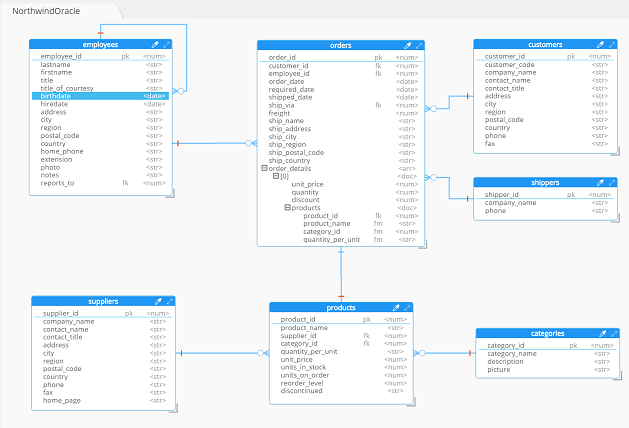 Migrating from relational databases to NoSQL requires a mind shift, and Hacklolade can help in the migration of the schema from a relational model to a model combining embedding and referencing, so you can leverage the power, performance, and flexibility of NoSQL. arrays should not grow without bound. High-cardinality arrays are a compelling reason not to embed. consider the write/read ratio when denormalizing. A field that will mostly be read and only seldom updated is a good candidate for denormalization. Data Definition Language (DDL) is a vocabulary used to define data structures in SQL databases. 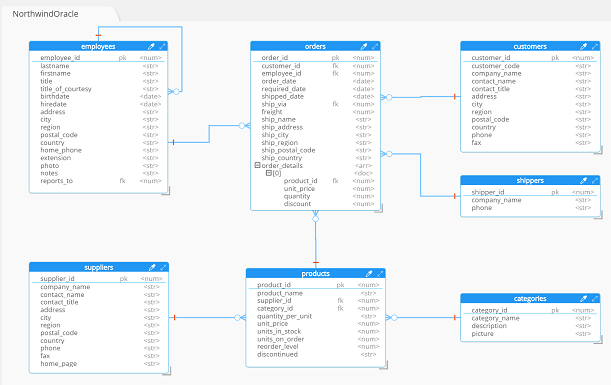 These statements are used to create, alter, or drop data structures in an SQL database instance. 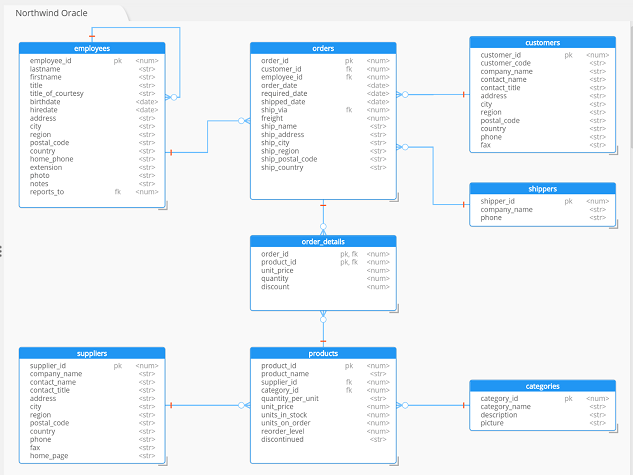 If you generate a DDL from Oracle, Microsoft SQL Server, MySQL, PostgreSQL, or Hadoop Hive, you can then read it with Hackolade and generate a model of the schema. and select the file from your file system. 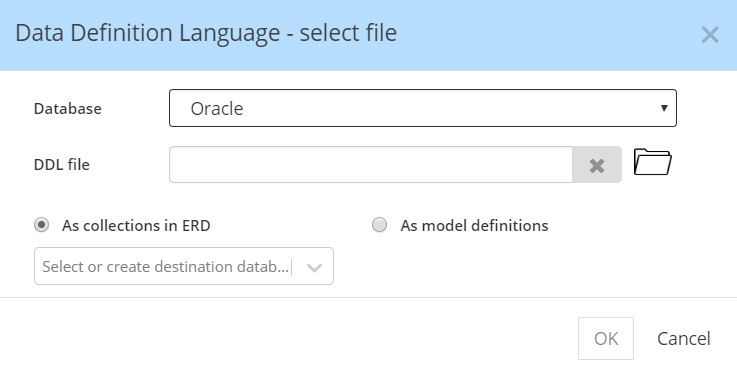 As a susequent step, the modeler may want to denormalize products information into the order detail lines by embedding product sub-documents in the child, the deleting the unnecesary fields. This time, as a products master collection is justified as its own entity, it should not be deleted. But denormalization, depending on how you want to access data to optimize performance, may also include 2-way referencing, or 2-way embedding.